Ford Motor Company unveiled its plan to use wearable technology to help ease the load on its human workers. Following successful trials, the company is now introducing exoskeleton vests in 15 of its plants in seven countries. Despite the emergence of smart factories, sensors, and data analytics, much of the heavy-duty operations in today’s industry still rely heavily on human workers. Over time, the demand for such work can cause stress, injury and accidents. But, Ford hopes that exoskeletons may be able to reduce some of the strain by augmenting the workers’ bodies. 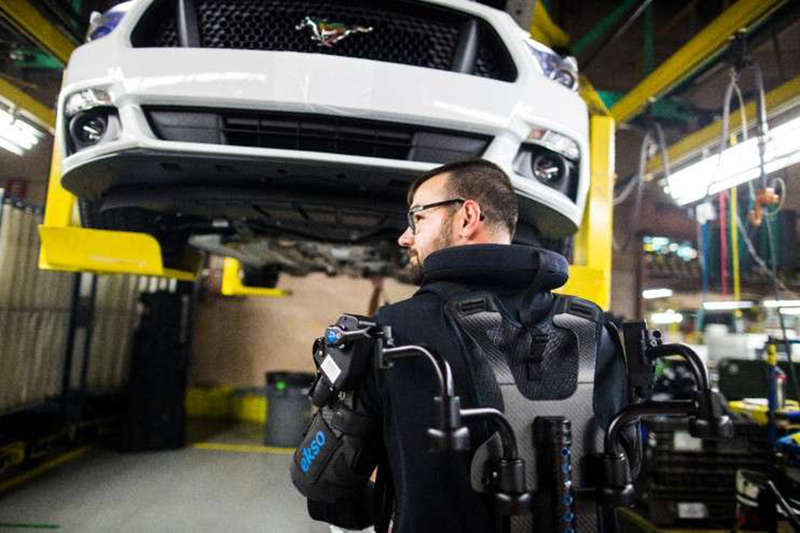 The vest used by Ford is called the EskoVest, an exoskeleton designed by Ekso Bionics. The vest fits workers ranging from 5 feet 2 inches tall to 6 feet 4 inches tall and provides lift assistance from five pounds to 15 pounds per arm. It is unpowered and uses spring assistance to provide between 5 and 15 lb (2.2 and 6.8 kg) of lift support per arm. Ford workers say it’s comfortable because it’s lightweight and not bulky, allowing them to move their arms easily. 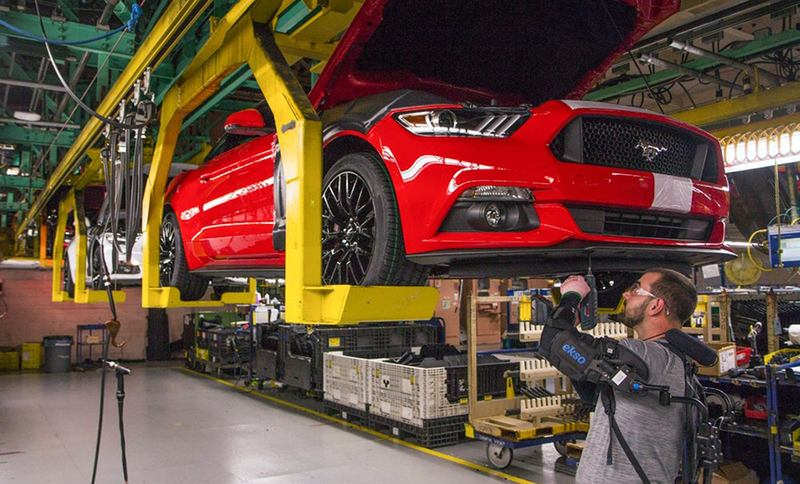 Ford piloted the vest at 2 of its plants in Michigan. 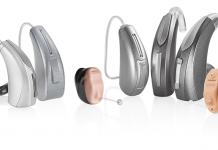 The feedback from operators helped improve the technology before the company rolled it out globally. The EksoVests are being used in all of Ford’s North American plants and in plants in Asia Pacific, Europe and South America. The use of exoskeletons dates back to the least 60s when GE developed a huge prototype for the US military and they’ve shown promise in helping people with spinal cord injuries walk. Analysts expect the business of providing technology to augment the human workforce to boom in the coming years – from $68 million in 2014 to $1.8 billion by 2025.